Virgin Galactic’s SpaceShipTwo, which was developed to bring space travel to the masses,has crashed in the Mojave desert. 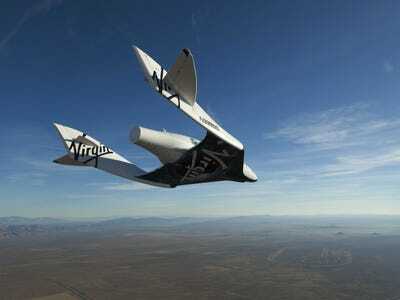 The spacecraft suffered an “in-flight anomaly” during a test flight conducted by Scaled Composites, Virgin Galactic’s partner. One person has died in the crash. 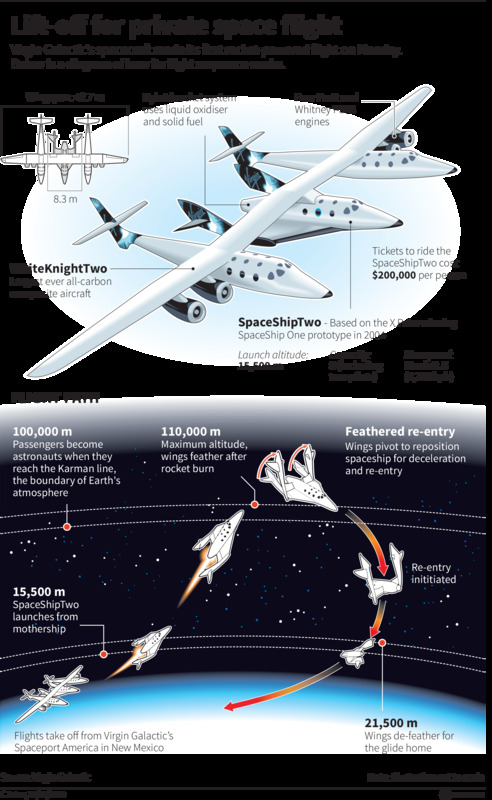 Virgin Galactic is the world’s first commercial spaceline. 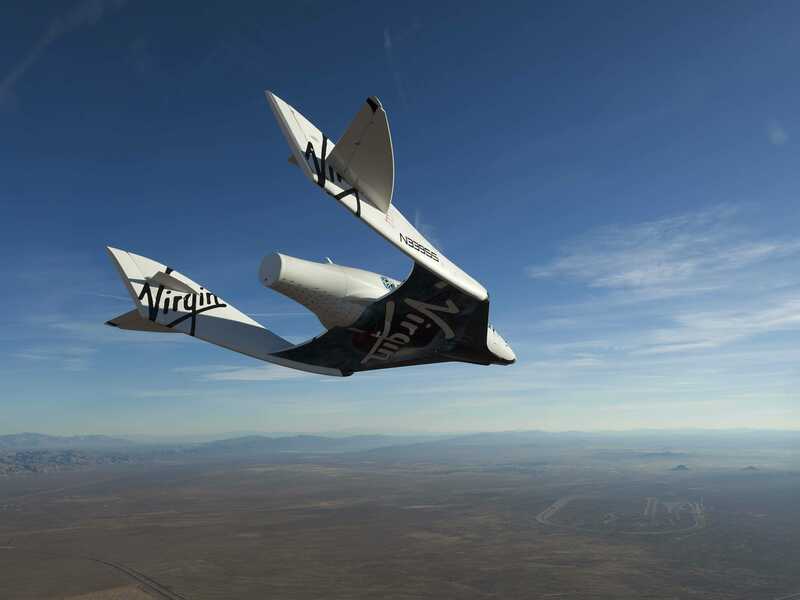 It’s one of several companies pioneering private space travel. This graphic, detailing Virgin Galactic’s SpaceShipTwo and its carrier aircraft, WhiteKnightTwo, is from April 2013, when the craft fired its rocket engine in flight for the first time.